This year will be a big year for Royal Caribbean Cruises with Royal Caribbean International and Celebrity Cruises introducing new ships. The new ships in turn are the primary drivers generating itinerary changes throughout the fleets, according to Chris Allen, vice president, deployment and itinerary planning, Royal Caribbean Cruises. Celebrity will be introducing the new Celebrity Edge this fall, sailing seven-day cruises from Port Everglades for the winter season, and Royal Caribbean will introduce the Symphony of the Seas with a summer Mediterranean season. Royal Caribbean and Celebrity have already announced a large percentage of their deployment over the next two years and by March or April are expecting to have most if not all of their itineraries open for sale through April 2020. “One big story is the variety of Oasis-class homeports and ports of call,” Allen said. The Symphony enters service this spring and will sail seven-day cruises from Barcelona and Civitavecchia, before moving to Miami for year-round alternating seven-day Eastern and Western Caribbean cruises. In 2019, when the Oasis goes to the Mediterranean for the summer, the Harmony will move from Port Everglades to Port Canaveral. In addition, the Allure; which is in Miami for the 2018-2019 winter, goes back to Port Everglades; and the Oasis goes to Miami in the fall. Another headliner for 2019 will be the Ovation going to Alaska from Australia via Hawaii to Vancouver before homeporting in Seattle, where she is replacing the Explorer of the Seas. 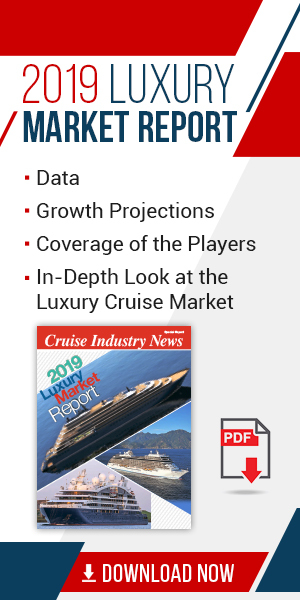 While the cruise fleet is growing, many ports are expanding too and new ports have come online, according to Allen, who said it was important to partner with destinations to develop them for the long term, making sure the brands have great destinations to call at. “We develop itineraries for each brand reflecting their strategic vision; the itineraries must fit what the brands represent and must appeal to the sourcing markets,” he explained. 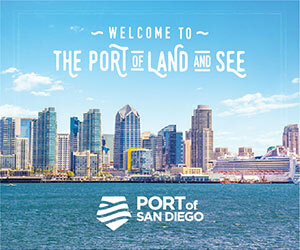 “We look at guest feedback, the attractiveness of destinations, trends, what is popular, what is not, marketability, and then balance that vs. the cost side, fuel and port costs. “The beauty of our industry is that compared to hotels, we can move ships and maximize the appeal of the ships and their profitability.